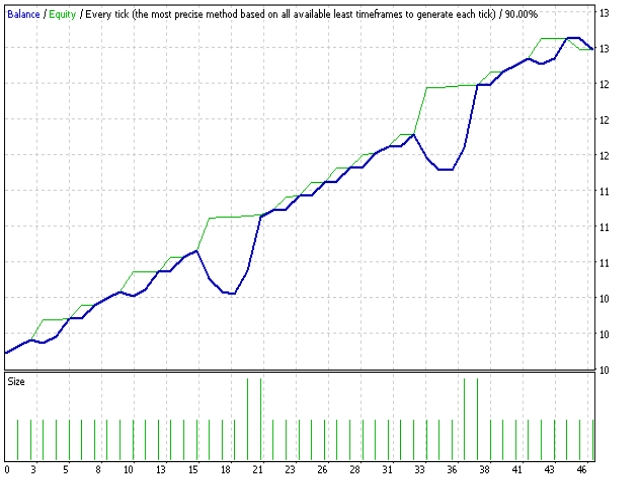 The robot uses Martingale strategy. It starts working from a set point and withdraws at the other set point. 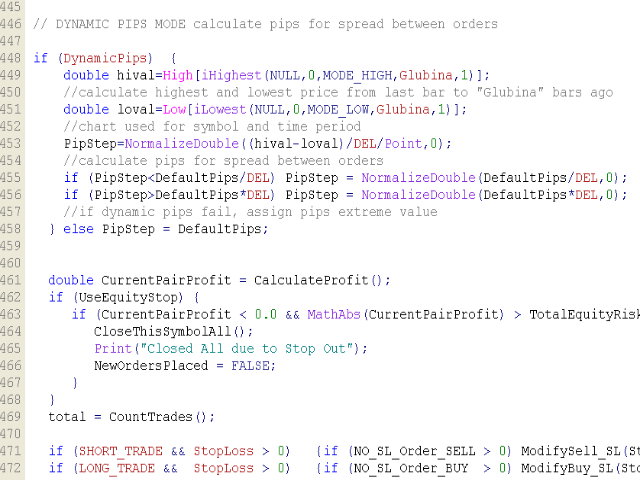 Once the initial order has been opened, each of the following ones is opened (Additional orders) in a set amount of pips. The robot uses an average price for that. 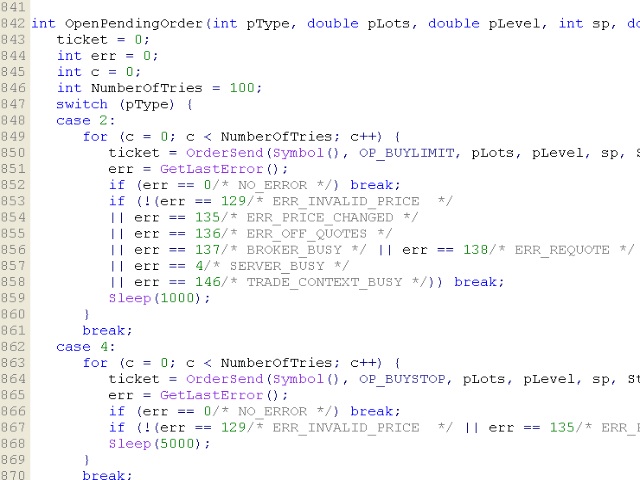 The robot is capable of creating break-even orders. In this case it changes the Magic number and starts a new order series. Wk- new order series allowed. LONG TRADE- Long Trade allowed. SHORT TRADE - Short Trade allowed. LotExponent- volume lot multiplier, for an order in a series. 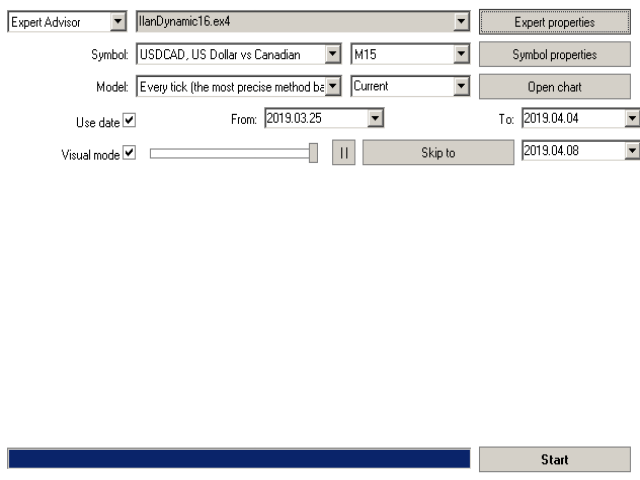 DynamicPips - dynamic mode for order series step count. DefaultPips - default step for oder series. Lots - first order in the series volume. TakeProfit - takeprofit in the series, pips. StopLoss - stop loss for the whole series. MagikNumber - magic number for the first series. 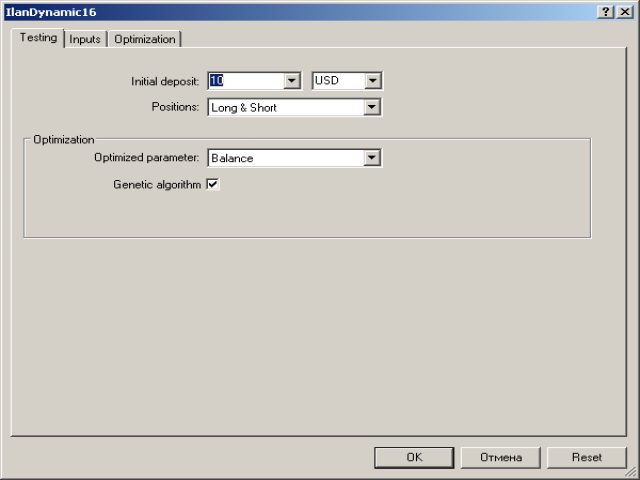 MaxTrades - limitation of orders quantity within the series. UseTrailingStop - tral allowed (break-even mode). 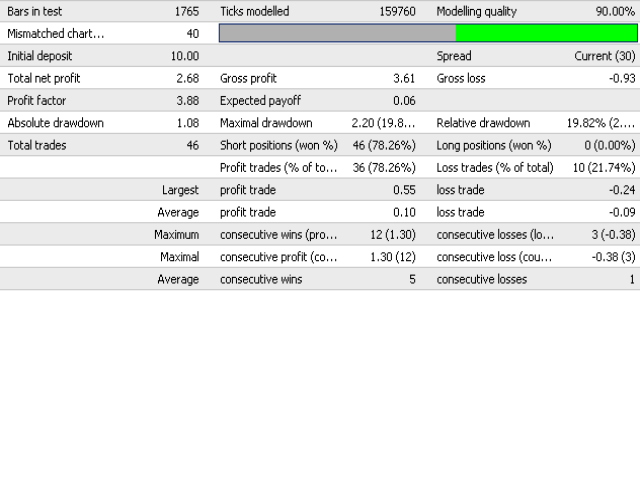 TrailStart - a profit level which should be reached to enable tralling of the default order (break-even mode). TrailStop - tral length for default order (TrailStart - TrailStop = break-even pips).